Strategies to support students in reading the text independently. Creative approaches for teaching about language, structure and form. Ways of putting the text in its wider generic and literary context, as an example of post-apocalyptic fiction. Critical material, including print extracts from interviews with McCarthy. A video interview on DVD, with Adam Roberts, lecturer at Royal Holloway, University of London. 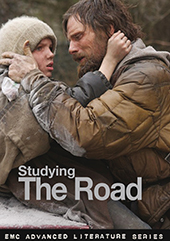 The DVD also includes the full study guide as a PDF, a slideshow of colour screenshots from the opening of the film adaptation and an article on the novel from emagazine. Resource type: A4, wirobound photocopiable resource with 30-min. DVD including printable PDF of the text.